ITWorld linked to TheHackerCIO's blog on "The 10x Engineer", can be read here. Rereading your own posting has a strange feeling. There's always so much more one could have written. But there is only so much time in the day for blogging. Or in the night, as the case may be. In fact, my blog postings are written at night, after a hard-days hacking for clients. But I pop in and re-read them quickly before posting, just to try to keep typos at bay. The additional point I should have made about 10x Engineers are two-fold. First, there are plenty more anecdotal examples I could have specified. At one very recent client, their team-lead/head-developer (let's pretend her name is Sally, so we can distinguish this anecdote from the previous instance which featured Bill!) easily produces more than all the rest of her team, which is on the order of 10. I never got a full head-count, for several were remote, so I don't know exactly. But you get a sense of it from hearing the names and adding them into the known quantities in the home office. The second point, which is far more important, derives from both this example and the previously cited one. In both cases, with Bill & Salley, they each not only were at least an order-of-magnitude more productive, but also an order-of-magnitude harder workers! Any time I stopped into the office, no matter how late, Bill was hard at work, headphones plugged in, and plugging away. Sally seemed to live at the office, working often until midnight and at least one day on the weekend. So there's a major cost to being a 10x engineer. You shoulder a great deal of the burden. 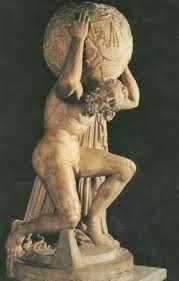 You become Atlas.